Outcomes evaluation is about measuring the actual change that has occurred, from a specific activity, on a range of stakeholders based on the principle of measuring what matters to stakeholders. We use the seven principles of measuring what matters to underpin a thorough approach to designing and undertaking outcomes evaluation. 1. Measure for social, economic and environmental outcome: measuring the positive or negative changes in people’s lives, communities or the environment as a result of policy or project activity. 2. Measure with people: They are uniquely positioned to identify the effects of an activity, whether positive or negative. 3. Value the things that matter most: making social and environmental outcomes visible and assessing them on the same terms as traditional costs and benefits. 4. Be responsive: providing evidence to inform future implementation and decision making, requiring decision makers to be willing to learn. 5. Avoid over-claiming: identifying the difference that is made, and how much can be attributed back to the policy or activity. 6. Transparency and accountability should inform everything: justifying why the measures have been chosen. 7. Measure strengths as well as risks and deficits: focusing on how best to enable people to succeed, not just why they fail. Work closely with stakeholder groups to set out our understanding of the Theory of Change. 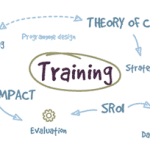 A theory of change describes the process through which change occurs and how change happens. Those involved “tell the story” of how the intervention affects them. Measure the extent to which the outcomes identified through this process happen. Work with organisations to create bespoke measurement frameworks that help them to measure the change for their stakeholders in a timely and proportional way (i.e. we don’t overburden them). Work with organisations to help them understand how much change happens and crucially, how much of that change is down to them. See the NEF report, co-authored by Natalie Nicholles, Small Slices of a Bigger Pie.